The project consists of 10 small library- boxes placed in 9 locations of Alba Iulia: The 4th Gate of the Citadel, Custozza Park, Union Park, St Eugeniu St., the Dendrology Park, the “Chinese” Park in front of “Horea Closca si Crisan” College, the park near the St. Ecaterina church, on the alley in front of the “Economic” College and near the Students Culture Hall. Each box has a unique design made by the architects Octavia and Lucian Loiș and the design is in connection with the facades of the buildings situated near the place where the smal library is placed. 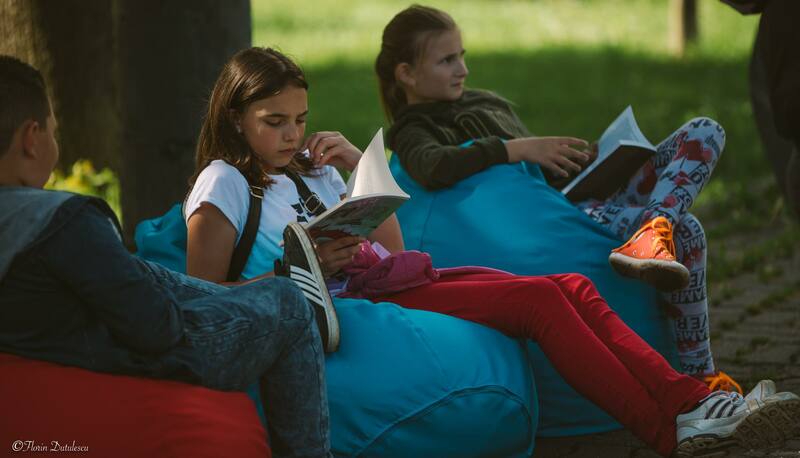 Anyone who has a passion for reading is welcomed in any of the 10 mini-libraries in Alba Iulia and will be able to either "borrow" a book, or take it and replace it with another book so that other readers can enjoy it. Each library has books for children and we intend to have different activities and small events with children in the neighbourhoods where the libraries are placed.